Yesterday was L' Etape Du California. I was training for this epic ride but a last minute change in plans prevented me from doing it. 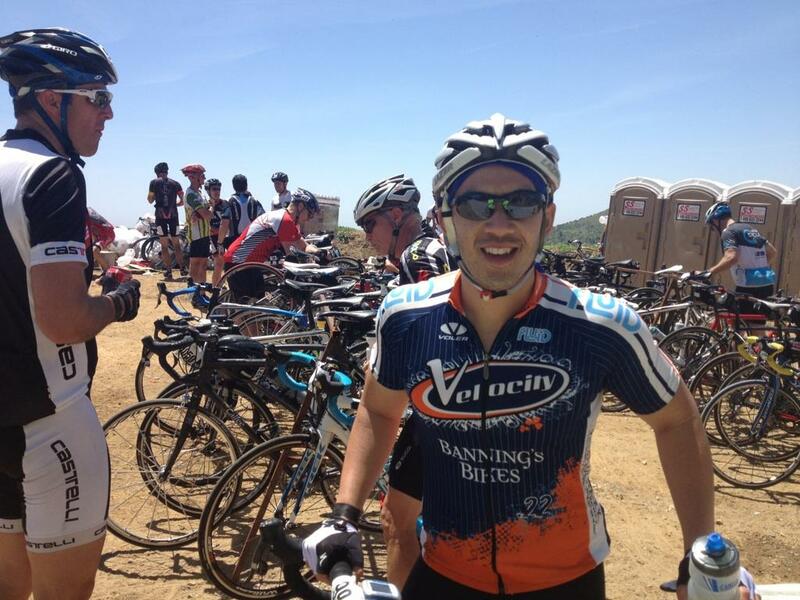 After two weeks off, Kevin is back in the saddle and working towards his goal of GMR to Mt. Baldy. Using Annette's training method of Fork Plux "X" miles he's making great progress. I got a late start to my ride up GMR as I continue to train, after two weeks off, for the ultimate ride for my from my house to Baldy Village. As I crossed Sierra Madre and started up GMR, I realize today was the L’ Etape. For a moment I thought how disappointed you must have been after all the training and then having a conflict. Maybe next year. Maybe it was because of a limited warm up, or more likely the two weeks off, but I was definitely feeling sluggish. But you know how it is riding up GMR with all the friendly riders. Today, I got encouragement times ten and that definitely helped keep me going. Nevertheless my legs tired quickly and I was off my pace to the first saddle. I couldn’t stop the self talk about cutting the ride short. Wouldn’t you know, rounding a corner, just short of the first saddle was the Queen of GMR herself. “Kevin, AWESOME…” was exclaimed from the rider descending clad with a red bandana around her neck. That did it. For some reason, Annette’s encouragement always sets my mind straight. Today it reset my thinking towards reaching my potential for the day. The L’Etape volunteers offering water and Gatorade at the first saddle were very friendly and not concerned that I was not officially in the event. The offered me shade and bottle refills. It was definitely helpful, as the temperatures steadily climbed. After a bit more riding I stopped for shade at the maintenance shed, where I snapped some photos of participants climbing and wondering “will it ever end?”. Nothing but admiration from me goes to all of them. Next stop East Fork Road, where as I was pulling in to the rest stop, an energized Micheal Young (You can tell by the smile on his face) pulls around me on his way for some food and drink. We chatted a bit and I was surprised to hear him say “So far so good” and ‘I am looking forward to the climb to the lifts”. I was thinking about turning back, but for some reason I told him that my plan was EF Plus a mile. So off I went, but it was general flat of downhill for about ¾ of a mile so I added another ¾ to get some more climbing in. It wasn’t fast today, but I think I am ready to view the Tour of California from the Ridge Road. I am hoping one of my work colleagues, Curtis, comes down from Bakersfield to ride with me. I am a bit concerned as he talks about double-centuries and death-rides in his younger days. Hopefully father time has slowed him a bit. 24.5 miles (fork+1.5), 2,880 feet of climbing (including a CAT 1), & no rain or snow. Couldn't be any better. 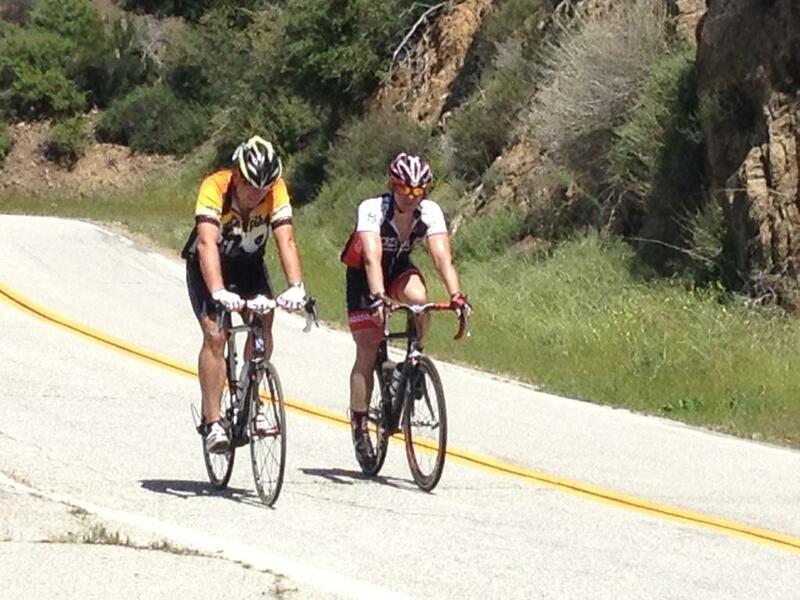 Thanks to all the encouraging fellow riders, Annette, Michael, L’Etape volunteers, and GMR for another great ride.